​​​​​We provide dedicated onsite support maintenance and PC security solutions services and support to our clients both large, small and home PC computer users which enable them to concentrate more on their core business, while we do everything possible to secure their digital life and devices. Our onsite support services are designed to help you grow, protect and manage your computers or business and the organization you've worked so hard to build. 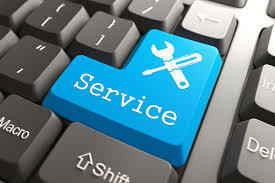 Our IT support services are dedicated to reinventing your brand through quality representation. In order to achieve this, we've built a strong company that stands to support and protect new or existing program. This will enhance the consumer experience while ensuring your company's overall goals and principles are achieved. If you have a Desktop, Server, Laptop, or printer issue and need Some Assistance with it. You are at the right place, our technicians can fix any of your Computer, printer, server, Laptop, and software related issues onsite in most cases. •	Removing viruses, malware and other related issues. Resolving all PC problems related to printers including installation, spooling and other printing problems. A Technician will troubleshoot your computer or laptop to uncover issues that are creating problems such as, programs and internet slowness, blue screens, crashes, lockups. Scan and remove spyware and viruses; Clean and repair windows registry; Install all critical updates and configure Windows updates to protect your computer; Perform optimization to speed up your PC. We'll also advise you of any recommended accessories or prevention method. 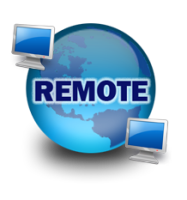 With Remote Access, this allows us to minimize your downtime. We will be able to login to your system, and troubleshoot the issue. In today's business, time is always equals to money. Having your Printer or any IT hardware not working can drastically decline productivity and can have impact on your company’s financial performance. When you are in need, it had to be fixed quickly and onsite. Whether it is onsite printer repair, or another type of IT hardware repair, we are going to resolve them all. Our technicians will be sent to your location to repair your home or business printer combinations, desktops, laptops, servers, or other peripheral devices.